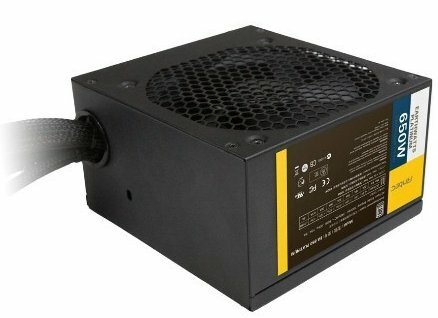 Antec released three EarthWatts Platinum power supplies, including a 450W, 550W and 650W model that will be sold for $109.95, $119.95 and $129.95, respectively. As the product name suggests, all three units have 80Plus Platinum certification. Antec, Inc., the global leader in high-performance computer components, announces EarthWatts Platinum, the latest in its series of power supplies. With the addition of EarthWatts Platinum, Antec has effectively upgraded the EarthWatts family of energy-conscious power supplies to the highest standard of efficiency. With 450W, 550W and 650W models in its desktop lineup, EarthWatts Platinum ensures that environmentally-conscious corporations and energy-savvy end users alike can take advantage of the benefits of 80 PLUS® PLATINUM efficiency. Maximum Efficiency – As one of the industry’s first mainstream 80 PLUS® Platinum certified PSUs, EarthWatts Platinum offers an ideal combination of industry-leading reliability, guaranteed continuous power and up to 93% energy efficiency compared to prior models, saving users on average up to 25% on their electric bill. Whisper Quiet – Simple 120mm two ball-bearing fan controlled by Antec’s renowned Thermal Manager and CircitShield™ operates with minimal noise even at full load. Premium Components – EarthWatts employs fully-protected High Current +12V rails with high load capabilities to ensure maximum CPU and GPU compatibility. It’s designed with 100 percent Japanese capacitors, ensuring maximum DC stability and regulation.